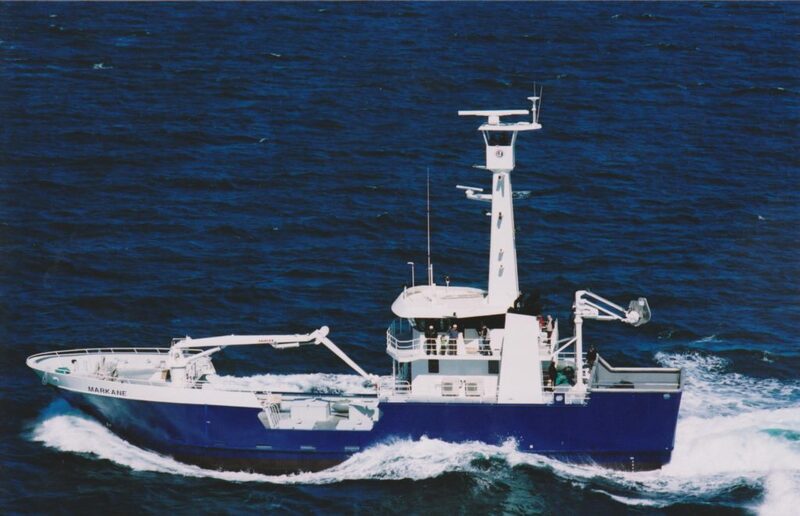 Launched on the 12th of September, 2005, Adelaide Ship Construction International delivered their latest vessel, a 34.99 metre general purpose purse seiner to Markane Fisheries of Port Lincoln, South Australia. 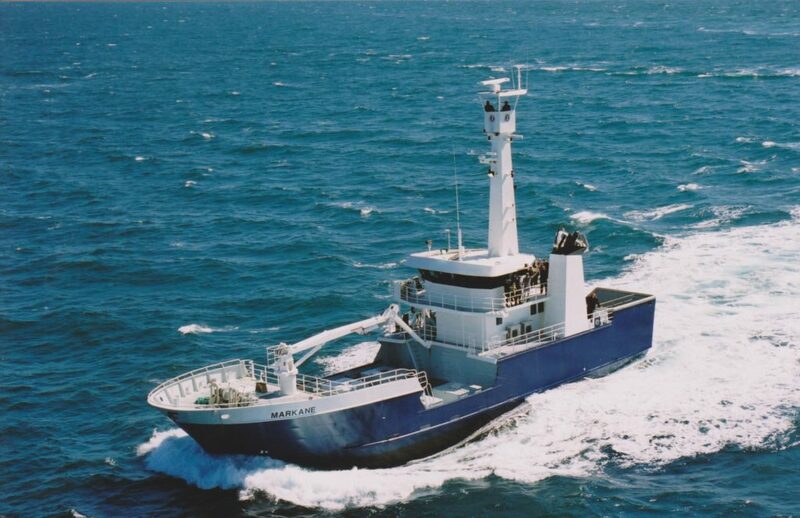 This is the first new vessel to be ordered by Markane Fisheries, the newest fishing company to operate out of Port Lincoln. 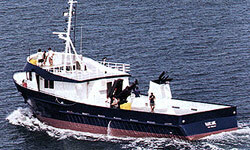 Designed by Peter James of Peter James Ship Design, and working closely with Leith Whittaker of Markane Fisheries, this vessel not only has superb lines, but has incorporated the client’s special requirements including a fixed 10″ fish pumping system which allows the vessel to quickly discharge the catch and return to fishing. With its state-of-the-art equipment and rakish lines European lines, this purse seiner combines all the advantages, and stability, of a high freeboard design of such universal appeal that is bound to attract favourable attention both domestically and internationally. Markane Fisheries are a relatively new company formed by now renowned Port Lincoln fisherman Tony Santic in conjunction with Leith and Adam Whittaker. The concept of this new entity is to harvest the pilchards required for feeding their Tuna which are farmed in and around Port Lincoln. 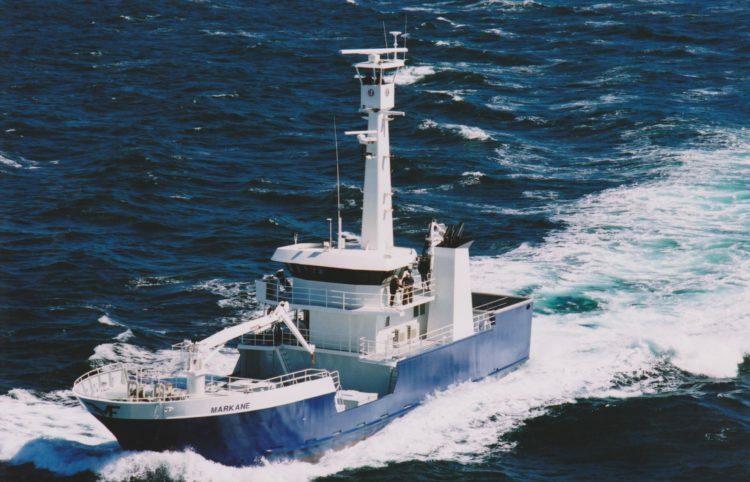 Incidentally, their previous boat, also built by Adelaide Ship Construction International , and named ‘Markane’, has now been renamed ‘Olive Skye’. 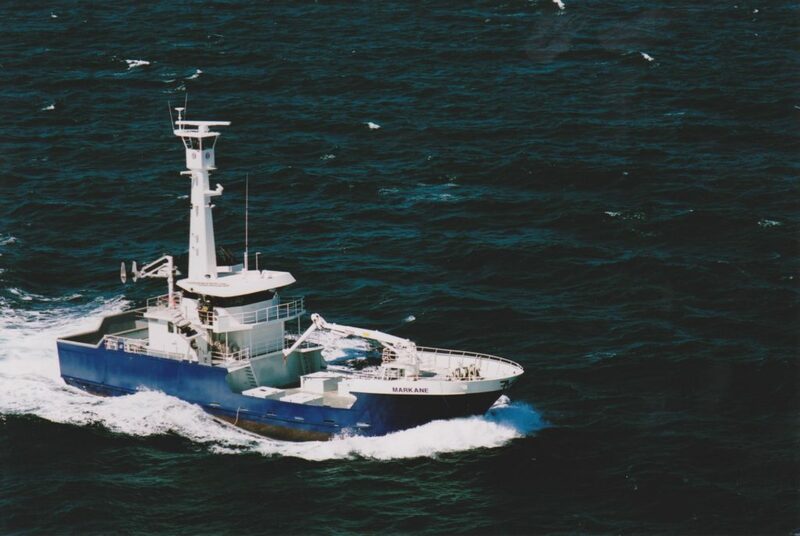 ‘Markane’ started out as a simple “day boat”, built to run down to the waters of Kangaroo Island and catch pilchards, however this idea was expanded to building a vessel capable of also doing extended trips, fishing for Stripies, Mackerel and even Southern Bluefin Tuna. 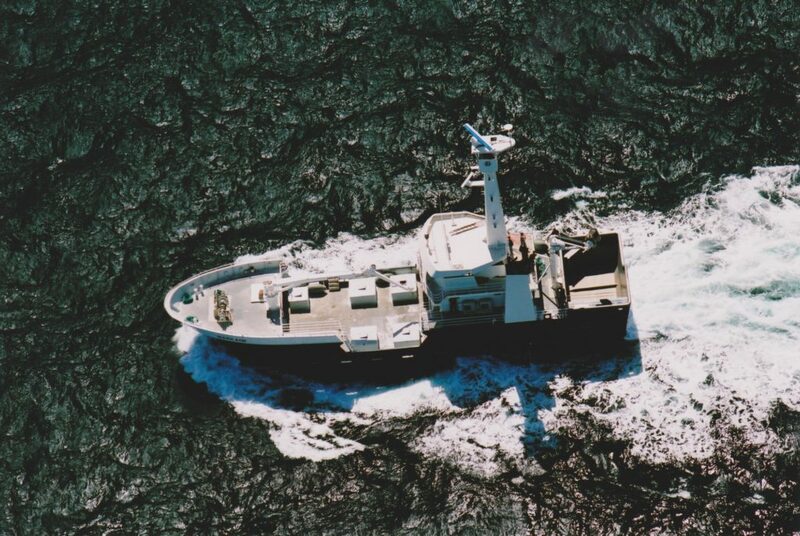 This meant extending her to increase the operating areas to include the waters of the Great Australian Bight through to the Australian East Coast chasing other species. The crew mess / lounge is light and bright, fully air conditioned, luxurious, and beautifully furnished, and features a full home cinema including 32″ LCD television, two DVD players, and a Denon Audio/Visual package. 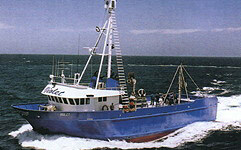 This area, like the wheelhouse and accommodation is outstandingly complimented by the now traditional Danta woodwork. 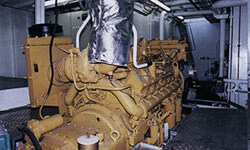 When it came to the power plant, a MTU4000 series main engine, capable of putting out 1,077Kw at 1,600rpm, coupled to an island mounted ZF gearbox was chosen. It was felt that the MTU provided superior performance as well as a great weight/size combination, with good service available. On trials, the vessel delighted all with her performance, achieving 12 knots at 1,600rpm and averaging an adequate 11 knots at 1,400rpm. Refrigerations is provided by two chillers capable of bringing down the concentrated brine solution to -13 degrees C. These were designed by Ian Heithersay and installed by EBM. 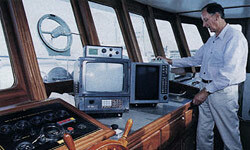 A state-of-the-art electronics package was supplied by Taylor Marine of Port Adeliade, with extensive interfacing. 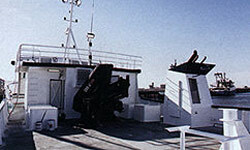 The wheelhouse is adorned with the full USL code survey package of equipment for this size of vessel with the raked dash being made up of five flat-screen displays ranging from two 20″ Furuno flat-screens, two 17″ Samsung flat-screens and a 10.4″ flat screen Furuno sounder. ‘Markane’ handled some rough weather on her delivery voyage to Port Lincoln, showing her seakeeping qualities, and comfort were far beyond expectations. It can be confidently said that ‘Markane’ will provide a new benchmark in quality, design, and constuction. She has the lines and performance of a thoroughbred, and indeed it could also be said that Tony Santic and his family know how to pick a winner, not only on the race-course at Flemington where Makybe Diva has since won her second Melbourne Cup, but also out on the water where ‘Markane’ is expected to have a winning edge in “bringing home the goods” for her owners. 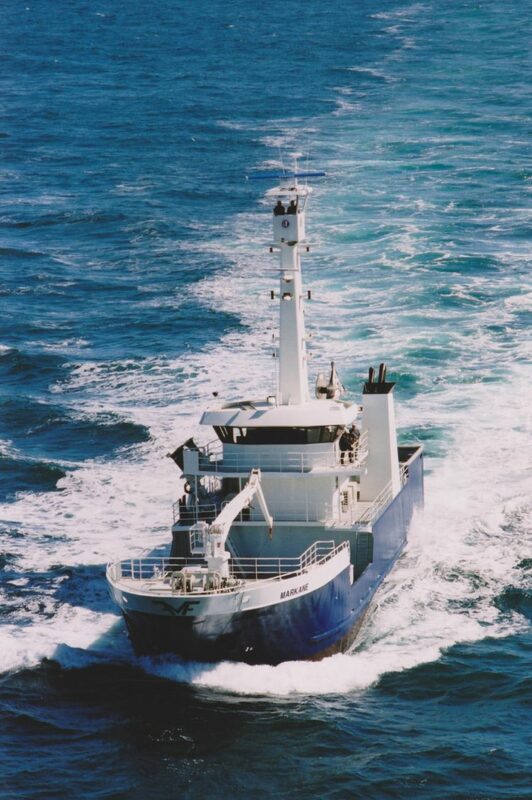 The delivery of vessels of the quality of ‘Markane’, combined with the high degree of client satisfaction that Adelaide Ship Construction International achieve, should ensure their continuation as one of the leading ship building yards in Australia way into the future.